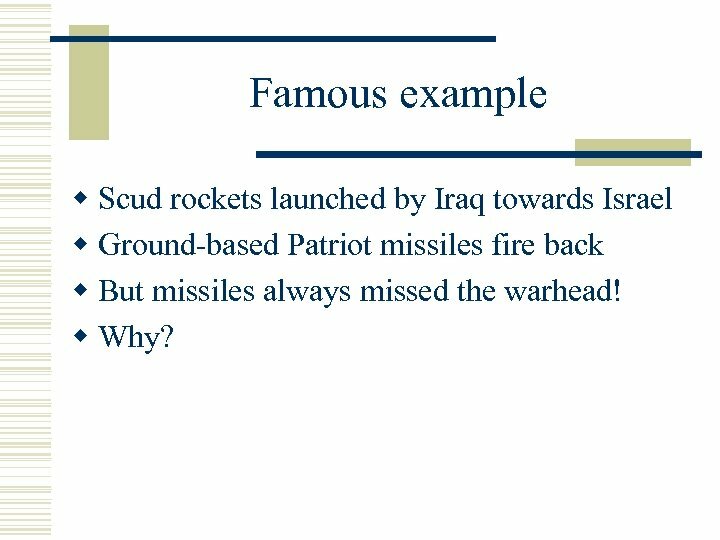 Famous example w Scud rockets launched by Iraq towards Israel w Ground-based Patriot missiles fire back w But missiles always missed the warhead! 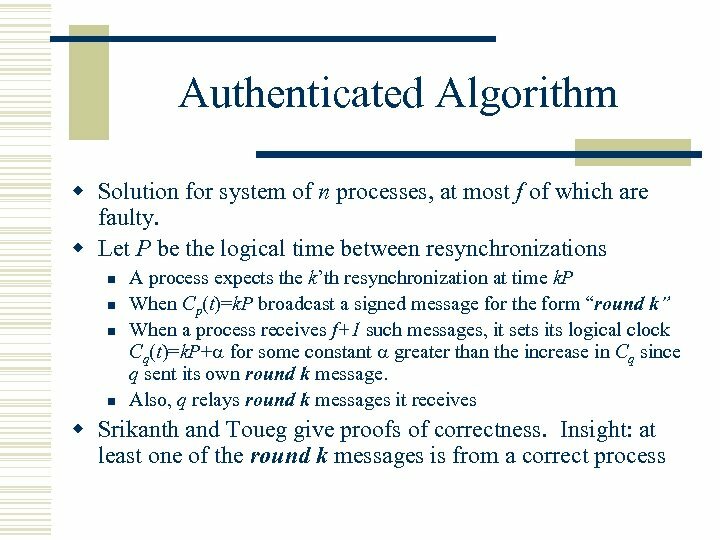 w Why? 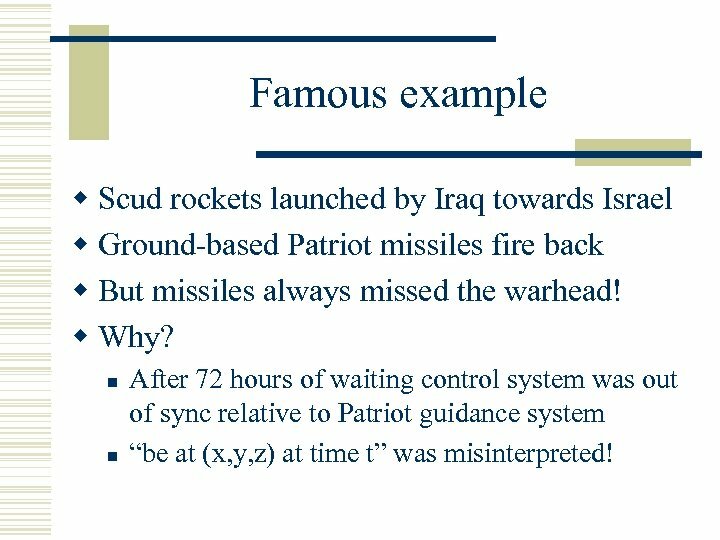 Famous example w Scud rockets launched by Iraq towards Israel w Ground-based Patriot missiles fire back w But missiles always missed the warhead! 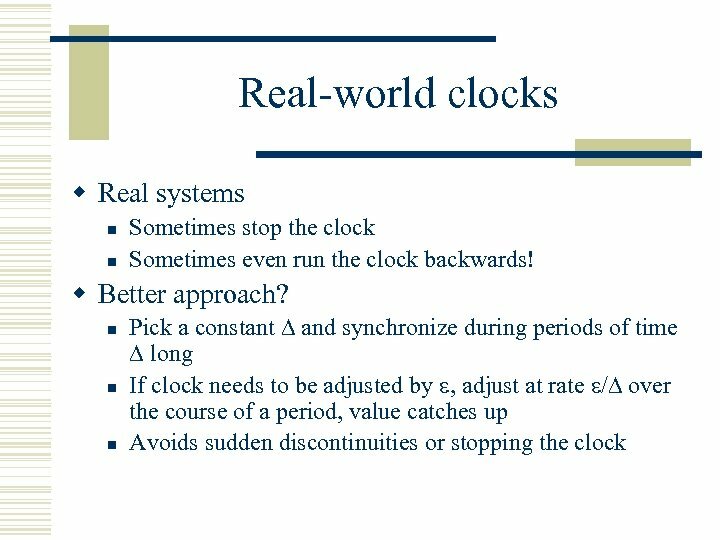 w Why? 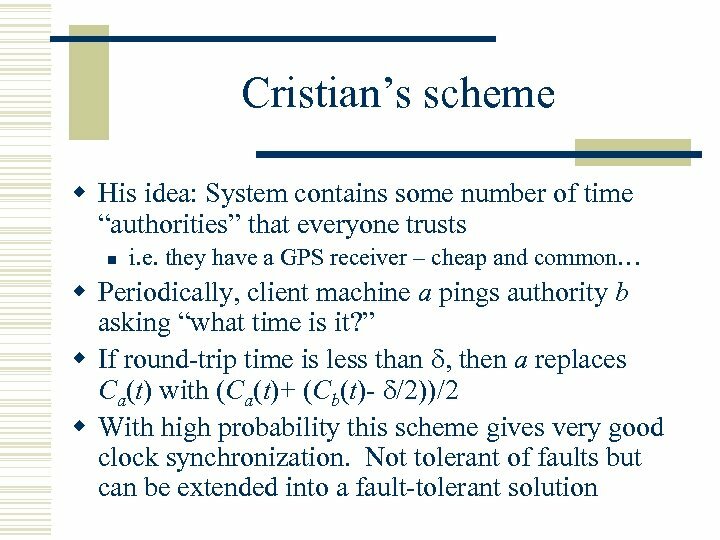 n n After 72 hours of waiting control system was out of sync relative to Patriot guidance system “be at (x, y, z) at time t” was misinterpreted! 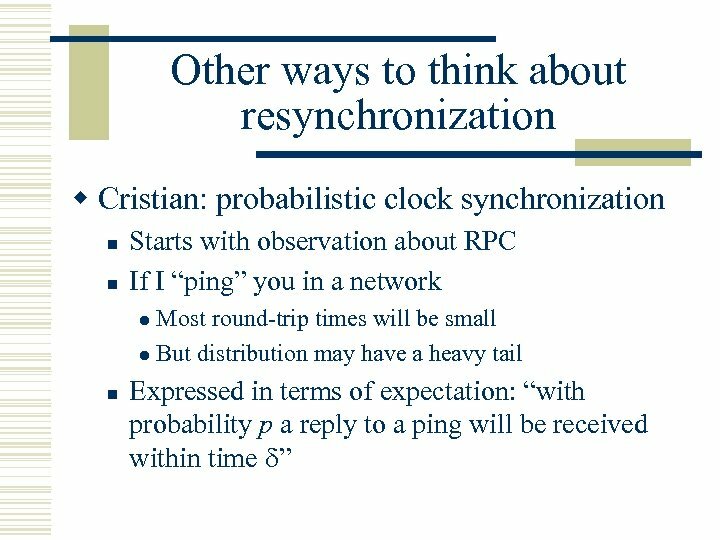 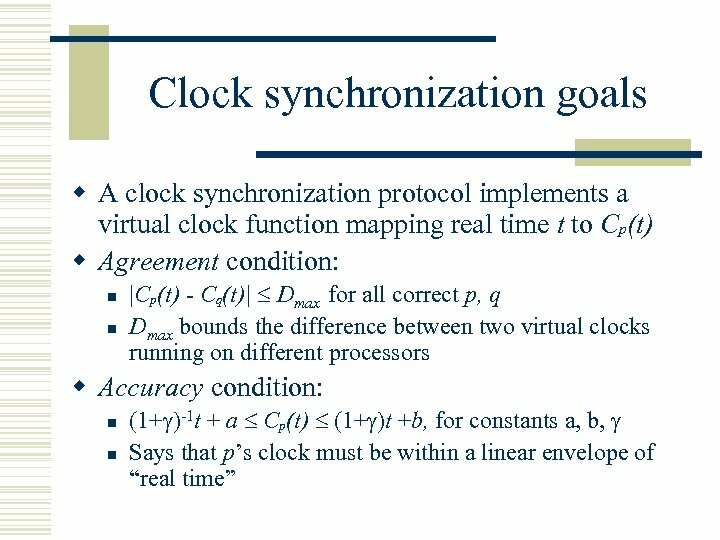 Goals for clock synchronization? 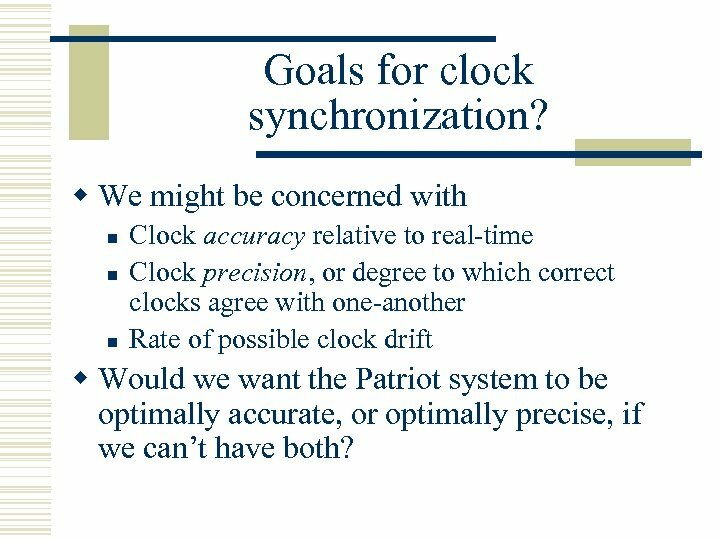 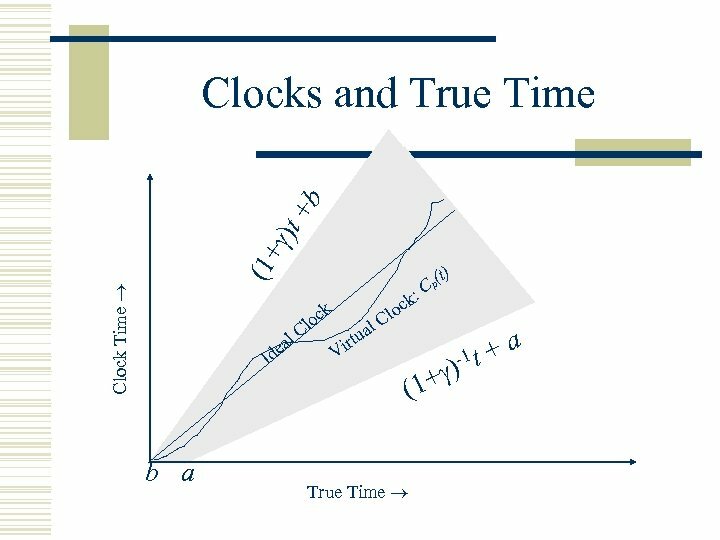 w We might be concerned with n n n Clock accuracy relative to real-time Clock precision, or degree to which correct clocks agree with one-another Rate of possible clock drift w Would we want the Patriot system to be optimally accurate, or optimally precise, if we can’t have both? 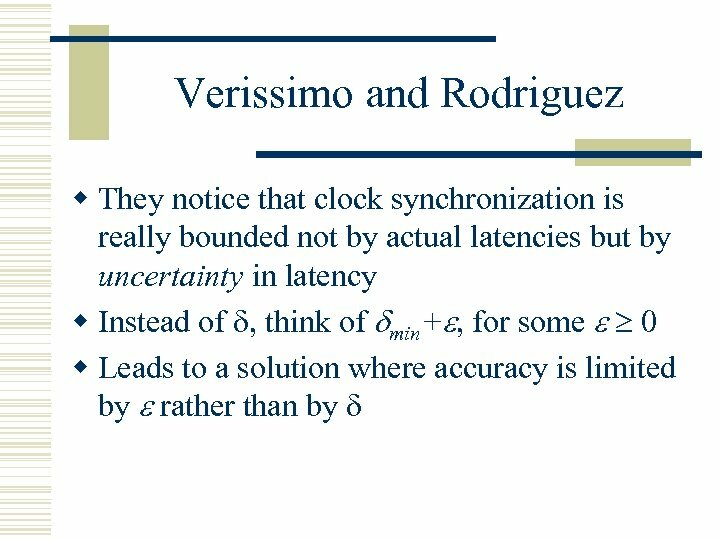 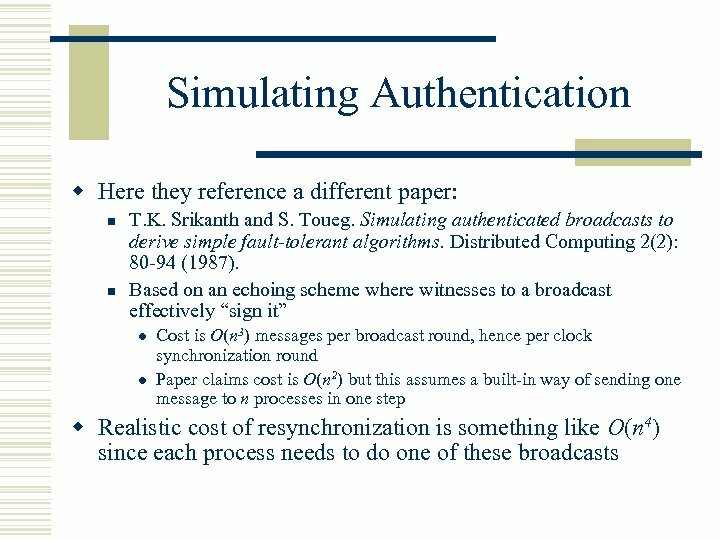 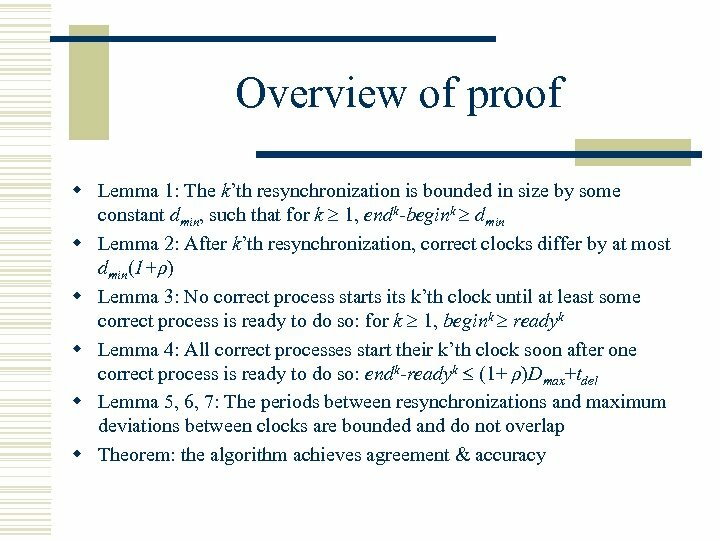 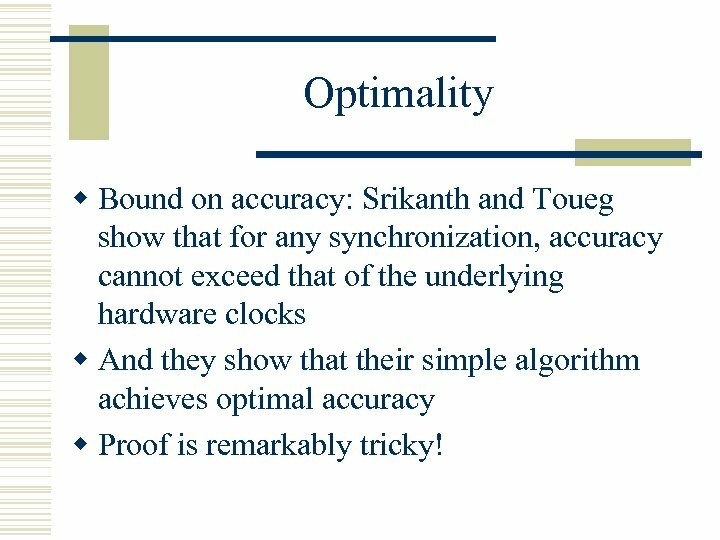 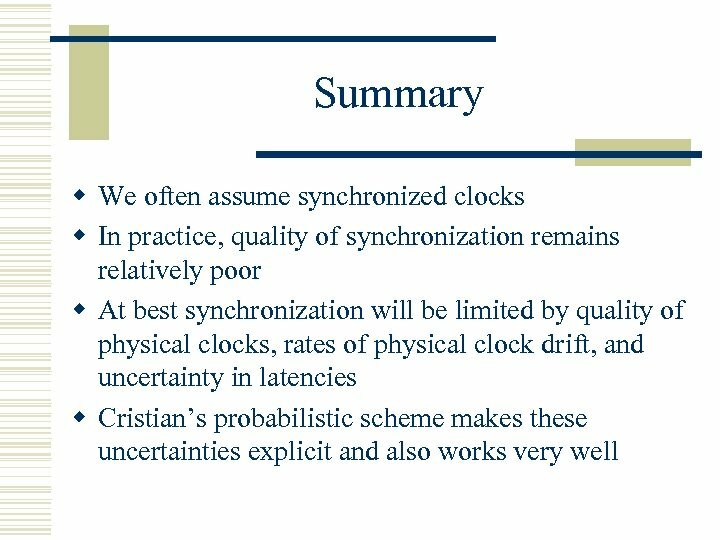 Optimality w Bound on accuracy: Srikanth and Toueg show that for any synchronization, accuracy cannot exceed that of the underlying hardware clocks w And they show that their simple algorithm achieves optimal accuracy w Proof is remarkably tricky! 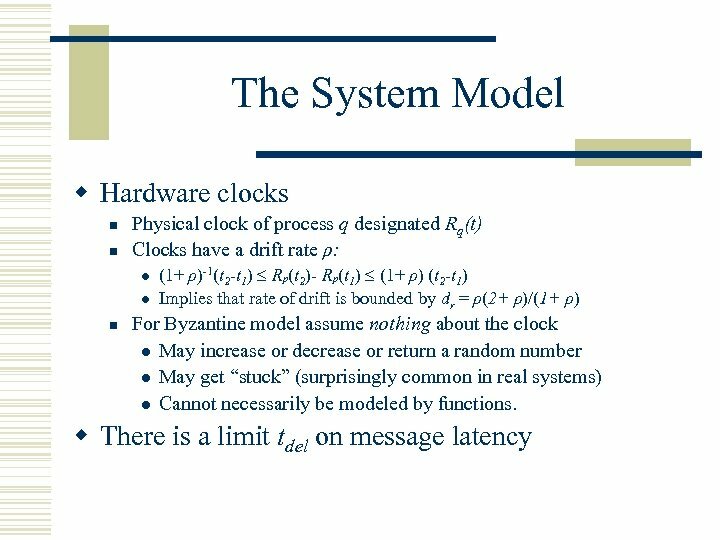 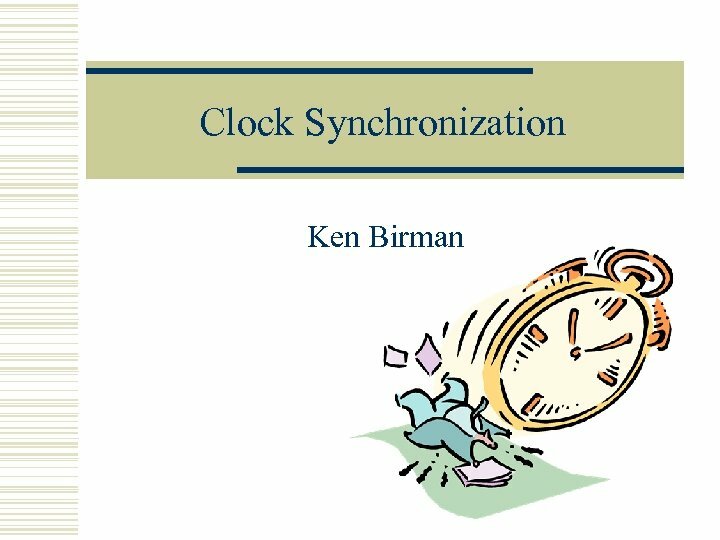 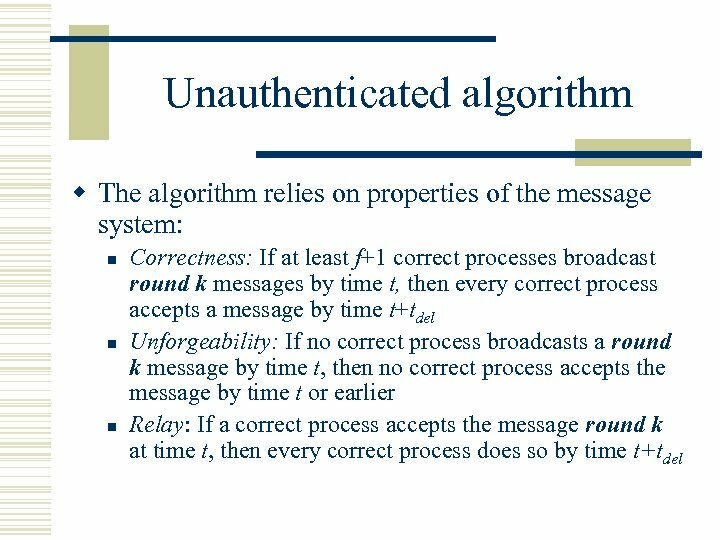 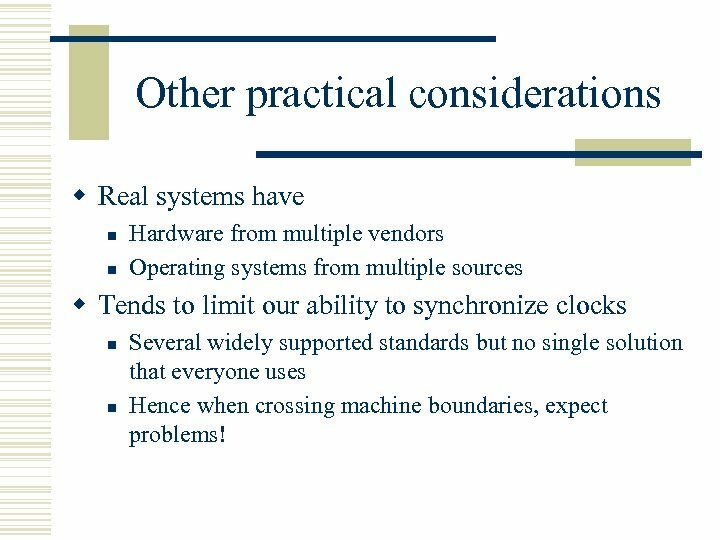 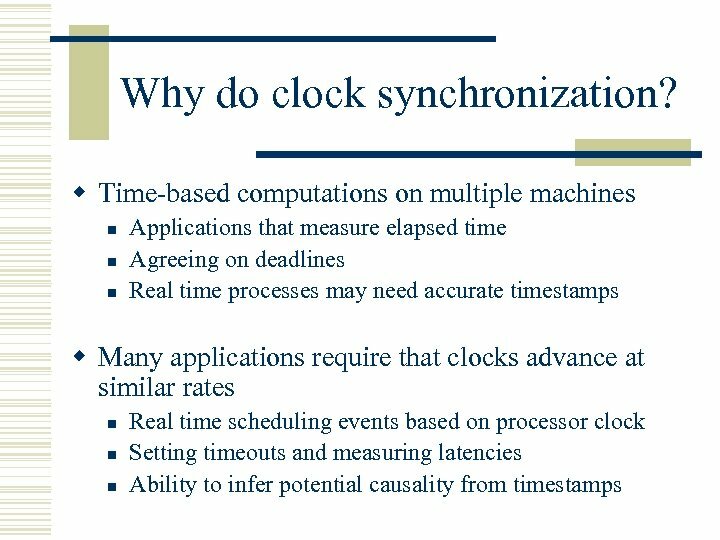 Other practical considerations w Real systems have n n Hardware from multiple vendors Operating systems from multiple sources w Tends to limit our ability to synchronize clocks n n Several widely supported standards but no single solution that everyone uses Hence when crossing machine boundaries, expect problems!